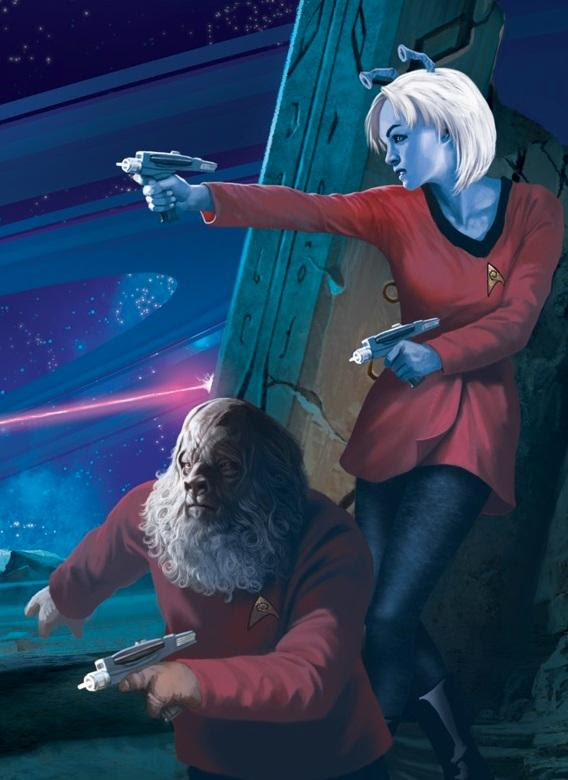 News just in from our good friends at Modpihius Entertainment about the upcoming releases for Star Trek Adventures. Be sure to sign up for the news letter to keep up to the moment and checkout all the awesome pre-orders on the official site. Incoming message from Starfleet Command, we have new orders for you and the Admiralty’s update on the situation in the Shackleton Expanse! New action-packed missions are going to test your crew’s limits, so hold fast and remember to report back! In 2269 crews must heed Bacchus’ Irresistible Call, and crews in 2371 investigate Signals of unknown origin. It’s going to be an incredible wave of Living Campaign missions, and we hope you and your crew enjoy them. Once your mission is complete, remember to report back for you group. Head over to our Living Campaign survey page and fill in the relevant mission logs. Your decisions have consequences for all of us, out here! 2018 will see a whole host of new products launched for Star Trek Adventures, including the division supplements, quadrant sourcebooks, and more miniatures and tile sets – as well as a beautiful new collectors item, and introductory products. Keep hailing frequencies open to receive the latest news and announcements.